The Cary Institute of Ecosystem Studies periodically offers a short course in the use of likelihood methods in ecology. This intensive, 1-week course covers the concepts, theories, and application of likelihood methods as a comprehensive framework for analysis of ecological data and for testing alternate hypotheses in the context of model comparison. 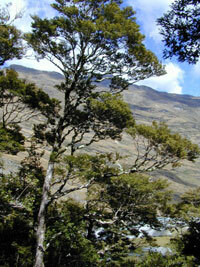 The course is intended for graduate students, postdocs, and faculty in ecology or related fields. Class size is limited to ~16 students. The course, taught by Dr. Charles Canham, includes lectures on likelihood principles, seminars on applications in ecology, and discussion of recent literature. More than half of the course is devoted to computer-based labs in which students use the R software package to learn likelihood methods and modeling. Privacy Statement: The information you provide will not be shared with anyone outside of the Cary Institute and shall be used for no purpose other than that stated herein.